Everything you could want for the most special day in your life. 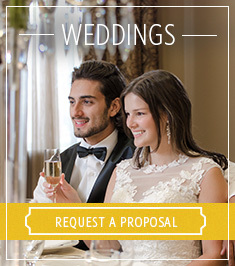 Experience timeless romance when you plan your wedding at The Parlour Inn in Stratford, Ontario. Share in an intimate gathering with the family and friends who have always supported and celebrated you and your fiancé. Choose a sophisticated venue that offers superior dining and service in an eclectic town perfect for guests with discerning taste. At The Parlour Inn, our Wedding planners and service teams are experts in presenting you with a day that runs seamlessly and beautifully. 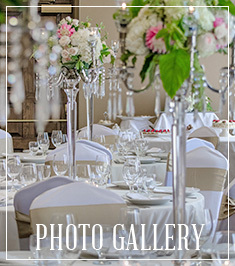 Let us help you with the wedding theme, invitation, flowers, reception, planning and more. We take care of the details so that you can focus on yourselves, each other, and your guests. The historic beauty of our Inn will provide many charming and lovely backdrops for your ceremony, celebrations and photos. 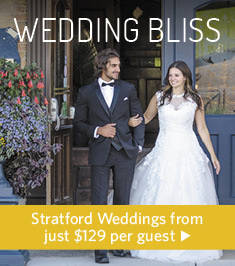 Our central location in the heritage district of Stratford also means that you are just steps from the river, lush gardens and urban settings for beautiful wedding photos and for guests to explore in between your wedding events. Our elegant Churchill ballroom is a beautifully appointed space well-suited for 40-60 guests. Plus, we offer two smaller rooms, the St. Patrick Room and the Windsor Room, whose warmth and charm are perfectly suited to smaller celebrations of about 20 guests. Upstairs at The Parlour Inn, we offer 28 gorgeously appointed guestrooms and suites for easy transitions before and after your big day. All our rooms are fully accessible and we offer complimentary parking for all of your attendees, right beside the Inn. The Parlour Steakhouse catering team is in high demand, both in-house and offsite, for special events. Let them lend their creative talents to your ideal wedding menu. With so many choices to make surrounding your wedding, we hope that the easiest decision will be to host your wedding with The Parlour Inn. We would love to help you celebrate and start your life together. Call us romantic, but there you go. Please be in touch with one of our event planners at any time to arrange a site tour or to ask any questions.